Aurora provides the highest quality water at a competitive cost! 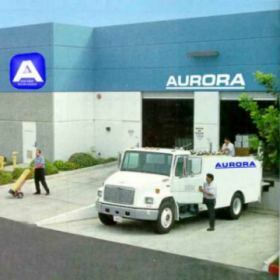 Aurora Corporation meets your deionizer exchange bottle needs. So we can ensure the highest quality water delivery available in the industry all resins are regenerated by us in our facility by our regeneration equipment which was designed and built by us. When our tanks are installed into your system a conductivity/resistivety indicator light or monitor is placed in the product stream of the deionizers to monitor water quality and alert your operators of the need for fresh tanks. A call to our office will initiate an exchange of the exhausted tanks for fresh tanks within 24hrs. The exhausted tanks are then taken back to our facility to be regenerated and sanitized. Customers are not required to make a capital investment and there are no labor or delivery costs. All invoicing is based on a per bottle price and billed according to frequency of service and the number of tanks exchanged. • Site dedicated tanks and resins available upon request. • Traceability for tanks and resins is available upon request. • Documented and certified regenerations upon request. • Emergency service is available 24/7 365 days a year.